LED Light Therapy is an exciting new non- invasive treatment that can help reduce wrinkles, rejuvenate and increase skin hydration to leave the skin looking soft and radiant. 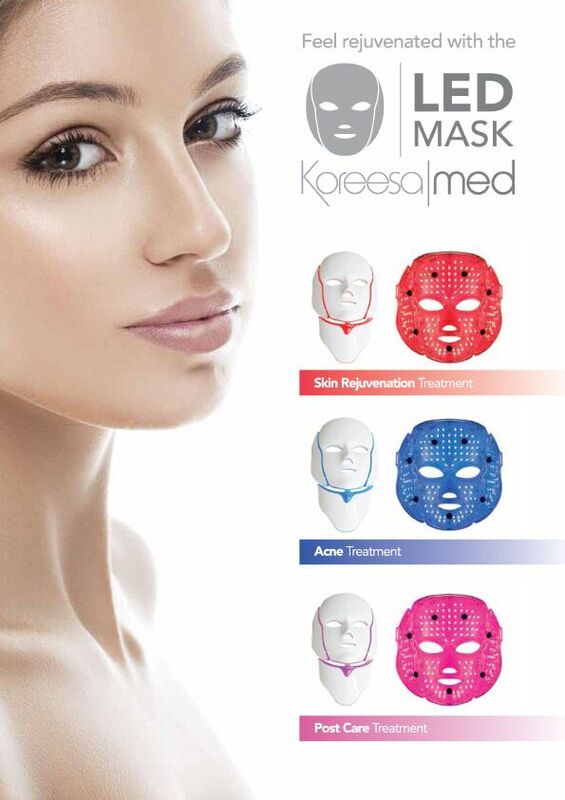 The LED Mask itself contains both LED & Galvanic functions which can be used simultaneously or independently. The ability to use the LED lights without the galvanic function allows for the option to treat clients who have health issues that generally are deemed as contra-indicated with most equipment. The treatment involves light therapy which emits specific wavelengths of light along the face and neck panel of the mask, capturing areas such as the sides of the face, ears, hairline and neck along with other key areas to provide overall rejuvenation. Fundamentally it will energise skin cells, rejuvenate the skin and increase collagen production, which results in firmer younger looking skin. Aside from the helping reduce the sign of ageing the mask can treat a number of other conditions such as acne, rosacea, psoriasis, dermatitis, eczema and dilated capillaries. It will also help to balance skin tone, improve complexion and firm the skin. Overall a course of treatments can offer dramatic and lasting results for a wide variety of conditions, and clients will also see great improvements. Reduces inflammation, post: mesotherapy/ nappage, fractional mesotherpy, derma roller, laser, peels, Botox & dermal fillers.